Websites & More was founded by Geoff Bowen in 2014 with the aim of making it more accessible to find and hire a web designer. 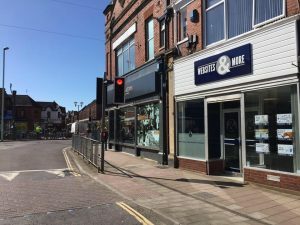 He looked to achieve this by opening a high-street studio, offering local businesses a 'no appointment needed' walk-in service. We are proud supporters of apprenticeship schemes and the benefits they offer us. Our team will often be supplemented by apprentice graphic designers and developers. We also, where possible, look to support local businesses for services such as print, photography and IT support. 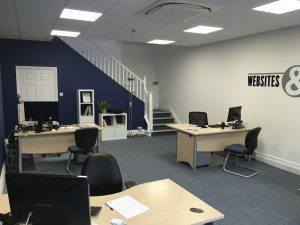 Our head office is in Exmouth, Devon. We offer our full range of web design, web development and online marketing services to both local and national companies. We're proud that a large amount of our new work comes from referrals from our existing clients. This has lead us to work for clients across the UK and also in Ireland. We are aware that Devon is generally not considered to be the heart of the internet industry in the UK, so you'll often find us attending events such as Brighton SEO, e-Commerce Expo, PMILive! and more locally at Digital Exeter. We take our CPD seriously to ensure we're always up to date with the industry's latest developments.